These are areas that are changing fast, with new policy from funders and government driving that change, as well as changes in research itself. We aim to use this blog to give a flavour of our work and discuss issues of interest to people who work in research support, and researchers themselves, in Manchester and beyond. We will also show you the people behind those services. 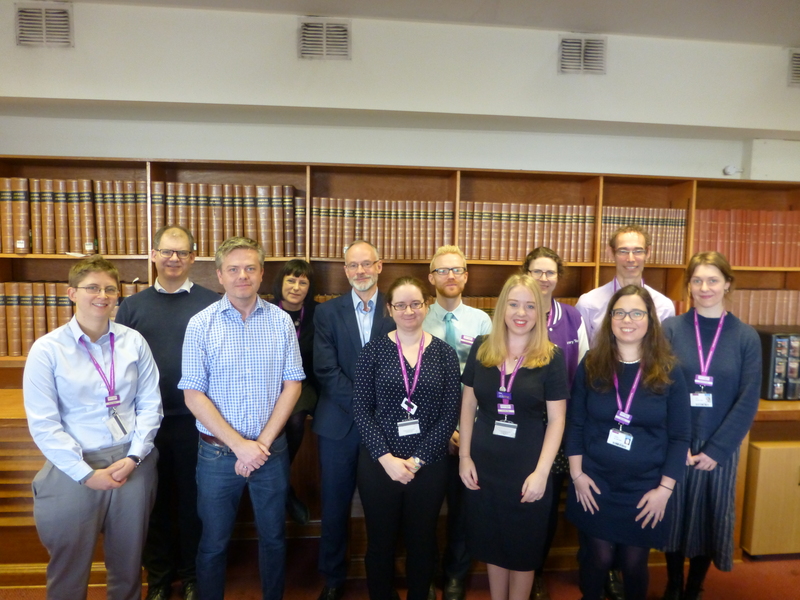 I joined the University of Manchester as Research Services Manager in March this year, and have been getting to know the library, and the institution, which is so much larger than the University of Liverpool where I worked before. It’s been really busy time, and even during my first few weeks there were changes in policy affecting the service. At the end of March the new HEFCE policy for open access in the post-2014 Research Excellence Framework was published. This policy puts Open Access right up the agenda, and affects any researcher who hopes to be part of REF2020 – they must ensure their articles and conference proceedings accepted for publication after April 2016 are open access. There are implications for repositories like eScholar, particularly around how we make it easy for researchers to comply with the policy by depositing and avoid breaching publisher embargoes, but in general this is good news for academia – making more of our research open to scholars around the world, not just those who have access to a well-funded library.